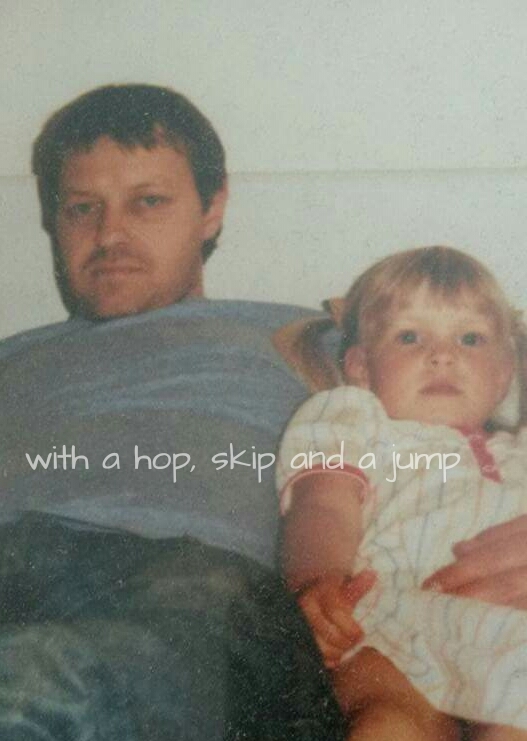 Today would have been my Dads 64th birthday. A simple man, we had a complex relationship when I was growing up; primarily due to me and my difficult ways; which seemed to smooth out once I settled down and had Dylan. As a family we would visit my Dad and his family weekly. In his own way my Dad adored Dylan. Not at all a ‘baby’ man, he would hold Dylan if asked but was much more comfortable interacting from afar while Dylan was in my stepmums arms by making silly faces and blowing raspberry noises in his direction. As time went on Dylans Dad and I were becoming subtly alarmed at the whispers from professionals about Dylan’s abnormal development; primarily his lack of developing speech. However my Dad was full of reassurance and would tell us about an extended family member who ‘didn’t speak a word until he was seven years old, now he’s absolutely fine’. I’ll never forget having to ring him and my stepmum on the evening of Dylans clinic appointment to confirm Dylans official diagnosis of autism. And that was just it. For him nothing changed. For the rest of my Dad’s life he never asked about Dylans appointments, assessments or progress. He continued to pull faces at Dylan whenever he would glance at him. He would make silly noises and play peekaboo with Dylans beloved muslin cloth. I appreciate that he didn’t ask about any assessments, not because he didn’t care but because of his need to keep things straightforward. -Don’t worry about things you can’t do anything about. I often wonder what their relationship would be like now; Dylan would have really rocked my Dads boat. As time went on there was no hiding the extent of Dylans disability and when this involves a loved one it initally comes with shock and heartbreak. 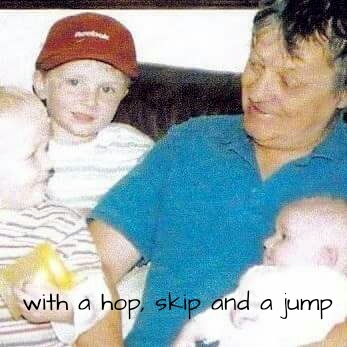 I wonder how my Dad would have coped with that and the ripple effect that managing autism had had on all our our close family over recent years. 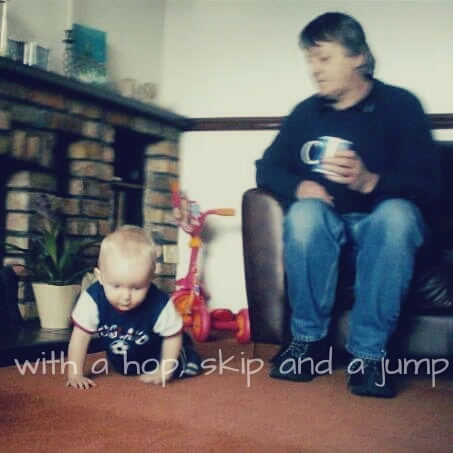 My Dad became ill with cancer when Dylan was 4 and he died 18 months after. Dylan was still very vacant throughout this time and totally nonverbal, he was lost. Nope. Dylan wouldn’t even look at him. Totally unresponsive to his name, with no interest in people or things Dylan was just lost in his own stimming world. But still my Dad tried, on every single visit, to see if Dylan would copy his speech. Looking back I really appreciate that; the trying, the effort. See there was no fakeness with my Dad. If he couldn’t be bothered with something he simply wouldn’t bother. But with Dylan he bothered, he always bothered. Although he was never a lover of modern technology (he could only nearly work a mobile phone) I like to think that my Dad would embrace talking to Dylan with his iPad. Hell now, Dylan could happily repeat ‘pub’ back to him and they could skip off to the local for a bag of crisps and a coke. Actually I could easily see that being a regular iPad request of Dylans if my Dad was still around! Having looked back I painfully realise that Dylan would probably now dote on my Dad just as much as he doted on Dylan back then. By now I imagine their bond would be strong; both undemanding and comfortable in each others silence. The realisation of this lost relationship makes the sadness even stronger. Both sadness for me at the loss of my Dad and sadness for Dylan at the missed opportunity to have another loyal member to his small team of support.